Washed up Mermaid is perfectly named, as the pastel toned aquamarine blue colour looks soft and multi-tonal when applied to hair. I used some blonde clip in hair pieces I had and applied the mixture to them once I'd washed them with shampoo. Left for 15 minutes and then rinsed with lukewarm water this is the result. 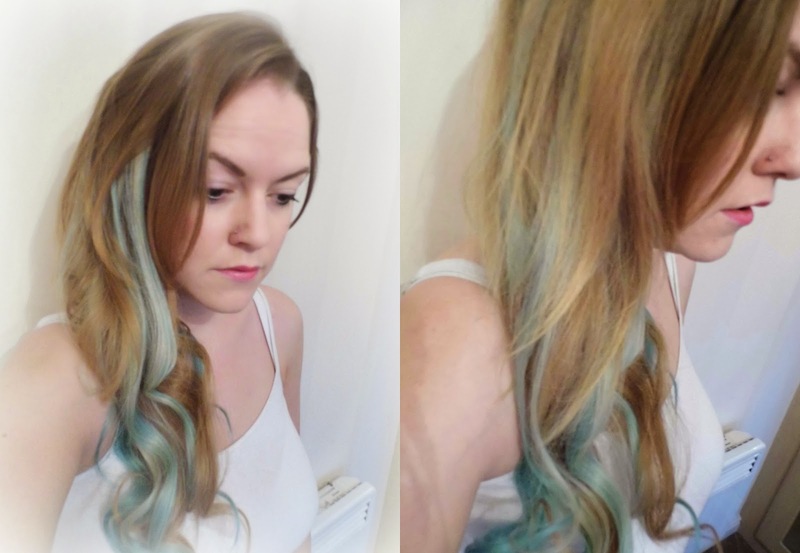 I'm planning on wearing them twisted into plaits, but thought mermaid waves were a good way to show the colour off. Great for a bit of a hair change and really simple to use. No mixing - just straight on. "Life's a BLEACH, and then you dye"